The development of a nation depends upon the quality of education made available to its people. This is why, one of the main objectives of “Human Resource Development” at university level education is expanding access and improving quality of the education especially in the regions where people do not have easy access to higher education. Challenges before India’s higher education system are: out of the total college-age group population only about 13-15 per cent are able to enter into Higher education institutions; by 2030 the population of college–age group will rise by 3-4 times; employability of the graduates earning their degrees under the present education system is 20-30 per cent rendering millions of graduates unemployable. Our challenge, therefore, is to devise an education system that educate and train people to work in fields where they will be valued both for their specialised knowledge, their ability to research, communicate and solve problems. Education, all through the 20th century, has grappled with the issues of economic and industrial growth. All attainments, small or big, have made every interest group to reassure themselves that education aimed at improving the economy minus ecology, cultural ethos and human touch will remain incomplete. Conjoint to it, was access to cheap and quality higher education in remote rural settings example Himalayan regions. By the turn of 21st century universalization of higher education was initiated. A window was opened to the private sector companies to establish institutions of academic excellence in the realm of higher education. An educationist and a great visionary Sh. 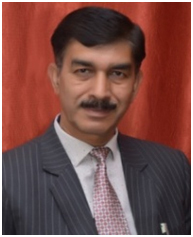 Pramod Maheshwari from Kota (Raj) endeavoured in fulfilling dreams of aspiring youth who established Career Point University at Hamirpur (HP) in 2012. The location of the University in rural lush green landscape is its biggest advantage: natural, pollution free, salubrious environs coupled with an enviable historical legacy. The university campus is situated in the village of Revered Late Sh. Yash Pal a hero of freedom struggle and close associate of Great Revolutionaries sh. Bhagat Singh and Raj Guru. The vision at the heart of Career Point University is to build a university with proven capabilities both in academic and research areas in order to craft an enduring model of intellectual excellence in tandem with an ethos of community value. Our unique approach towards the development of students is the 'mentor –mentee programme' based on the principles of 'guru-shishya parampara' in which the guru undertakes the onus of transforming every student into a responsible human of tomorrow! To experience culture, tradition, innovation and creativity and be part of a dynamic education system, we welcome every young aspirant and inquisitive mind to join Career Point University Hamirpur and experience the thrill of soaring high and even higher!